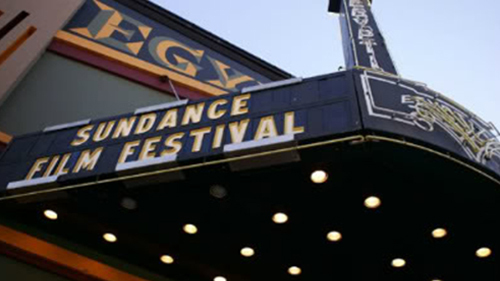 Moxie will screen at Sundance in January (19 - 29) in the International Narrative Shorts programme. It's also playing at IFF Rotterdam and the London Short Film Festival in January. And it received an Honourable Mention at Etiuda&Anima in Krakow in November. 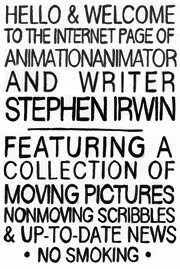 "Moxie, by Stephen Irwin – I actually picked this film to win the Grand Prix, which it did. Unlike so many films ruined by pointless absurdities inserted by filmmakers trying too hard to be cute, hip, odd or suicidal, Moxie displayed both the heft and the quirkiness a truly funky, offbeat film must have in order to ring genuine. I didn’t always know what was going on, but it made sense somehow in a completely enjoyable way." "...I will take messy, flawed films (e.g. Phil Mulloy's work, the late Helen Hill's Mouseholes, J.J. Villard's Son of Satan, Stephen Irwin's Moxie and Black Dog) that bear souls, that show proof of a human touch trying to make some sense of the world, trying to articulate a deeply personal experience, not allowing technology, preacher teachers, Preston Blair or "proper" aesthetics to dictate and direct their voice. I will always take the sloppy joes over those achingly crafted and polished works that show no evidence of human touch."